Peaksolution enables you to offer all of a region’s travel products and services quickly, conveniently and efficiently via a single portal. As far as possible, we integrate existing systems and their interfaces to achieve this. Our interface accesses hotel systems and providers such as feratel, Tomas, STC or reconline, and updates room availability on a regular basis. Bookings are secured in real time via this interface. The process is quick and simple and entails no extra administrative work for the hotel management. 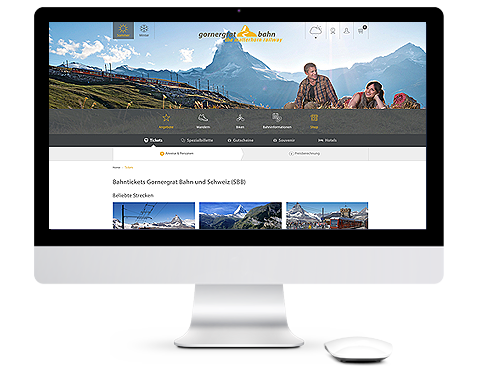 Guests can renew or extend their existing ski passes online, with information transferred directly to the SkiData or Axess ski systems. A new ski pass can also be collected by guests at their desired pick-up point in the region (e.g. the hotel) or delivered by post to the guest’s home address. 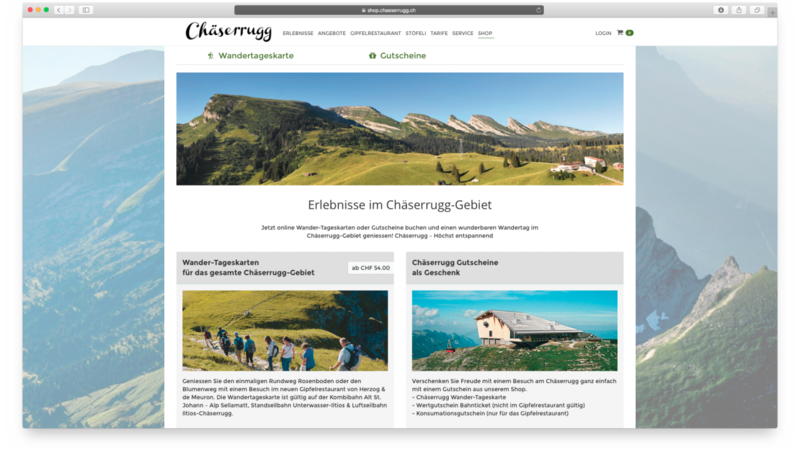 When guests reserve skiing equipment via the booking portal, their data will be registered directly in the ski rental company’s system (compatible systems currently include those devised by Wintersteiger or Sports Rental). On the day of pick-up, the equipment will be ready and waiting for them. 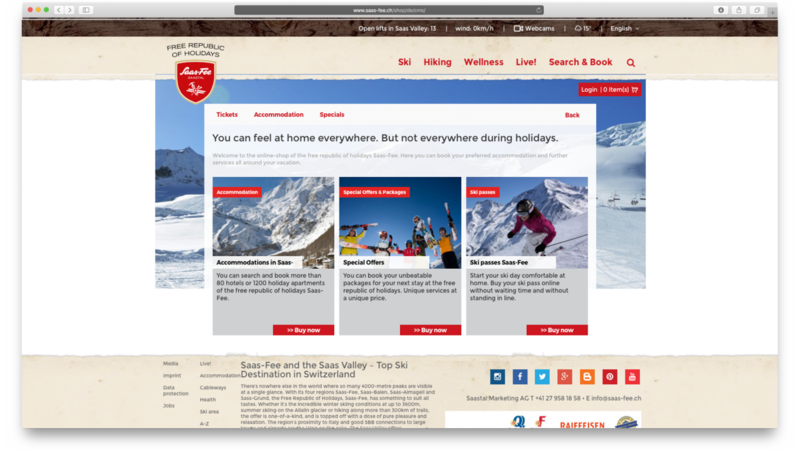 Guests can book their desired skiing lesson online. Their data is registered directly in the ski school’s system (compatible systems currently include those devised by Waldhart). The price is fixed. There is no need for guests to check in after arriving at their destination. 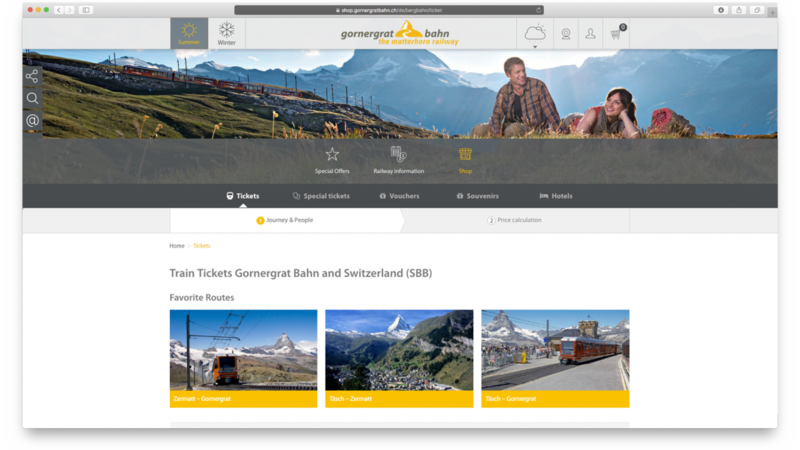 PeakSolution enables the complete integration of railway and mountain railway providers. Guests can book every step of their journey from the comfort of their living room. Thanks to PeakSolution’s event ticketing capabilities and the integration of nexbyte, event organisers can sell tickets via peaksolution whilst retaining complete control over bookings and ticket allocation. Guests can reserve their parking slot online. They get a Print@Home barcode ticket or a PIN code to use with the ticket machine at the entrance to the car park. Guests arrive comfortably in the knowledge that their parking slot is guaranteed. Peaksolution | eCommerce provides a convenient platform for selling merchandise articles. Easy management of stock levels and shipping costs guarantees that no unavailable items are displayed in the shop. Skiline offers innovative entertainment for guests, such as “Adrenaline Passes” for an AdrenalineCup. A guest’s Skiline data can also be collected and used as part of an effective customer loyalty management campaign. Peaksolution integrates seamlessly into your website. It features a full responsive design and is easy to use on smartphones and tablets as well as desktops. Individual products and services can be combined within attractive package deals. Peaksolution | eCommerce enables you to compile these packages and to quickly implement marketing campaigns. Every product or package in Peaksolution can be quickly and easily linked to other websites, enabling special offers to be advertised in different locations on the web. Peaksolution lets you optimise turnover using demand and season-based price differentiations. It offers a number of opportunities for the efficient implementation of yield-pricing techniques. The integration of ERP systems enables all purchases to be assigned directly to the relevant partners. Pre-defined margins and profit shares are automatically taken into account. Billing is easy, efficient and precise. Peaksolution takes customer loyalty management to a new dimension. The collection of customer data (through the integration of Skiline) provides valuable information for targeted customer loyalty campaigns. 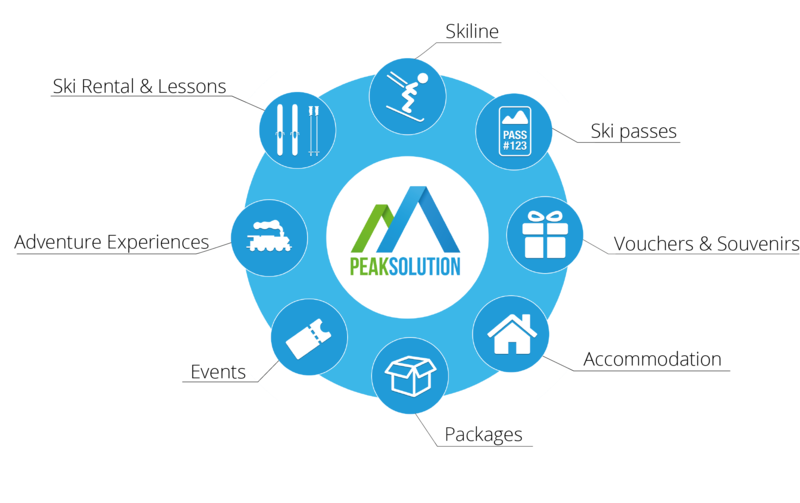 Peaksolution offers powerful opportunities for the management of product and customer data and a comprehensive reporting function with precise sales statistics. Online marketing campaigns are vital for a booking portal’s success. 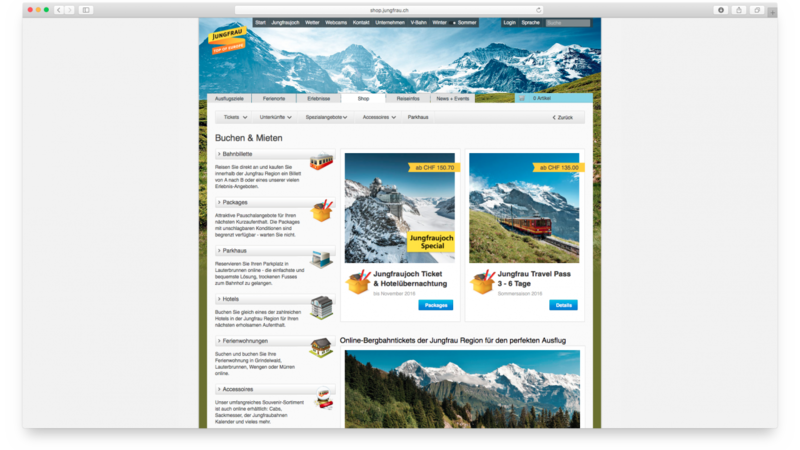 Peaksolution’s integration of the Wilken E-Marketing Suite supports a range of marketing activities (e.g. tailored newsletter campaigns), increasing the frequency of visits to the portal. Peaksolution is designed to be fully responsive and works on both mobile devices (smartphones and tablets) and desktop computers. It integrates seamlessly into your existing website and guarantees optimal usability. Altitude gains, videos, rankings and more are imported from Skiline and assigned to the relevant user account. They can be displayed in the shop if so desired. Data collected can be used as a basis for efficient customer loyalty schemes.